This weeks’s featured unit at Carteret RV on the Crystal Coast of North Carolina is the Wildwood 426-2B Destination Trailer… With multiple upgrades and options available, what a fantastic floor plan we have here with the Wildwood 426-2B! This popular unit has ample space for sleeping at least six! And with two showers, a residential-sized refrigerator, u-shaped dinette and separated sleeping quarters, you have the perfect layout to make yourself comfortable and feel right at home! The use of space in the 426-2B is what has made it one of our most sought after units! 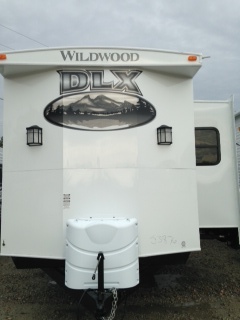 Whether you select a unit we have on the lot or special order the Wildwood 426-2B to your specifications, this is a great model to consider for a multitude of traveling or destination trailer needs! Carteret RV is your North Carolina RV Dealership on the Crystal Coast, featuring Park Model Homes by Canterbury and Woodland Park, as well as Wildwood by Forest River X Lites, DLX and other popular Wildwood Models! We have an awesome Parts store, propane filling station, full service center, as well as consignment and trade-in opportunities. 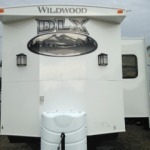 Posted in Destination Trailers, NC RV Dealership, Travel Trailers, Wildwood | Tags: Carteret RV, NC destination trailers for sale, NC RV dealer, NC RV dealership, NC RVs for Sale, Wildwood Destination Trailers, wildwood NC dealer, Wildwood NC RV dealership, Wildwood RVs, Wildwood Travel Trailers | Comments Off on This Week’s Featured Unit- Wildwood 426-2B! « Woodland Park Euro Kitchen Model is Amazing!